Perfect add-on for any event, small or large. Guests will stand in line for this twist on traditional darts! 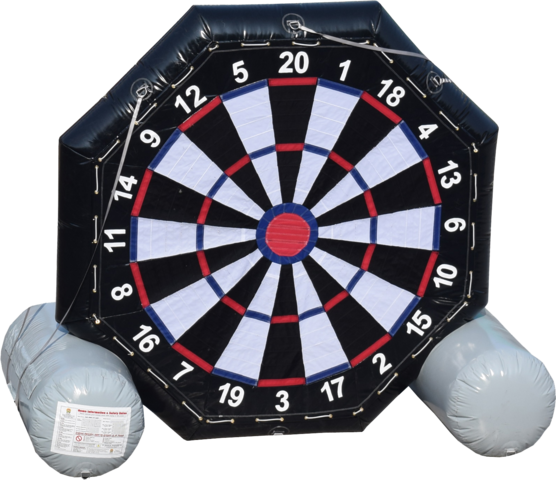 The "darts" are fuzzy soccer balls that are kicked at a velcro dart board. Let the games begin!